Apostolic Revelation: What Will Be The Mark Of The Beast? What Will Be The Mark Of The Beast? Is The Mark Of The Beast A Literal Or A Symbolic Mark Which Is Signified? Question: What will be the mark of the beast? 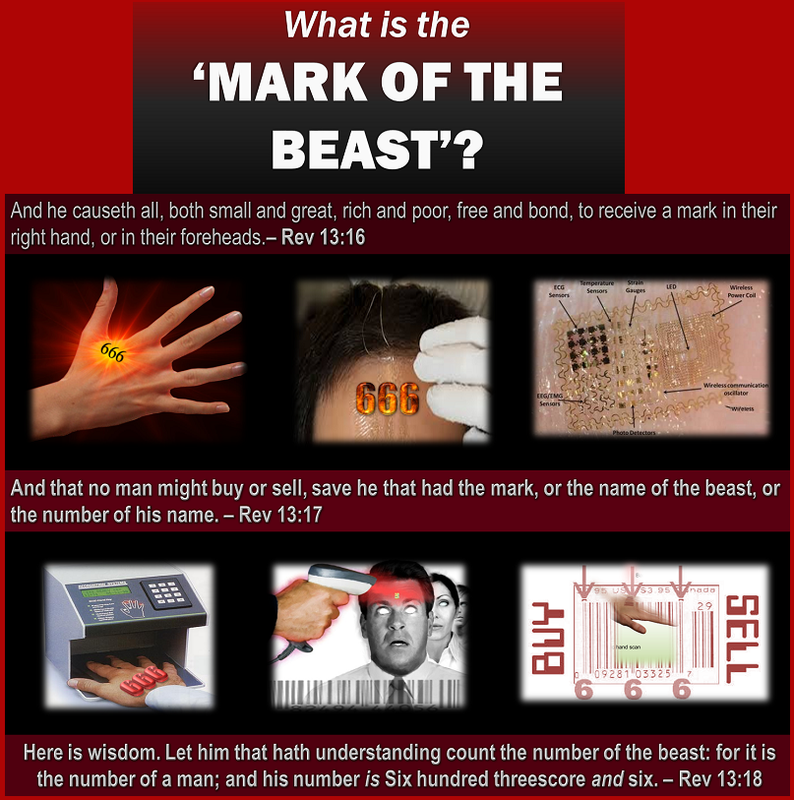 Is the mark of the beast a literal or a symbolic mark which is signified? Please do tell all about the beast, as it is so confusing to read in the Book of Revelation, about a lot of beast, first beast, second beast, another beast, etc. What it is all about? What does 666 means? I understand that when John speaks about the contents of the book of Revelation, he says that these things "must shortly take place" and Jesus sent his angel to His servant John and "signified it" (Rev 1:1), which shows that there are many symbolic messages in the prophecy that is show to him. And also we know the things which were shown to John the apostle were the past things which has already happened of which some he has seen, the things which are happening in the present before him and also the things which will take place after this time of encounter with God that John is having (Rev 1:19). So though there are symbolic messages in the Book of Revelation which is the only apocalyptic book entirely written for this purpose in the New Testament, we also know in the Old Testament, the Book of Daniel was something that was very specifically written to reveal the apocalyptic end time happenings of the past, present and future, we have a promise from God that the whole book of Daniel will be unsealed to the time of the final generation who will understand them and shine for the Glory of God, and thus through it more revelation can be unveiled to the end time generation from the very book of Revelation as both carry the same messages of the end, the only difference is that one is written in context to the single nation of Israel and the other is written in context to all the nations of the world (Dan 11:32; 12:1, 9). From the Book of Daniel, Jesus Christ Himself referred to a literal person who will come as Antichrist, he will be accepted by the Jewish nation of Israel at the end time (John 5:43) and also He told that when he comes, he will cause "abomination of desolation" by breaking the covenant made with the nation of Israel, and will stand in the 3rd temple of God which will be built soon and very soon. And after three and a half years of properly running of this temple by the priest, he will come in to the temple and declare himself as God in the flesh and the Messiah sent from heaven for such a time (Matt 24:15; 2 Thess 2:3-4; Jer 30:4-7; Dan 9:27). So as we are in the end time generation that Jesus spoke about, if we ask the question, if the nation of Israel is a literal one that Jesus spoke about? Absolutely it is yes, after nearly 2000 years of exile, the nation of Israel was reborn and today we know Jerusalem is the capital of Israel. Is the temple a literal one or symbolic? When we know how all the Jews with one mind and strength want to build the temple to restart their sacrifice which has been denied to them for a long long time, we know that the 3rd temple will be a literal one? Very very soon we shall see it built may be in a year or two or maximum in a decade. Having confirmed that the temple is literal, we also know that Jesus Christ spoke about a literal Antichrist, so we know through all these things we can confirm what the mark of the beast will look like. Here is the Scripture passages that speaks about the mark of the beast, "11 Then I saw another beast coming up out of the earth, and he had two horns like a lamb and spoke like a dragon. 12 And he exercises all the authority of the first beast in his presence, and causes the earth and those who dwell in it to worship the first beast, whose deadly wound was healed. 13 He performs great signs, so that he even makes fire come down from heaven on the earth in the sight of men. 14 And he deceives those who dwell on the earth by those signs which he was granted to do in the sight of the beast, telling those who dwell on the earth to make an image to the beast who was wounded by the sword and lived. 15 He was granted power to give breath to the image of the beast, that the image of the beast should both speak and cause as many as would not worship the image of the beast to be killed. 16 He causes all, both small and great, rich and poor, free and slave, to receive a mark on their right hand or on their foreheads, 17 and that no one may buy or sell except one who has the mark or the name of the beast, or the number of his name. 18 Here is wisdom. Let him who has understanding calculate the number of the beast, for it is the number of a man: His number is 666." (Rev 13:11-18). In context, we see the beast of Antichrist rising out of the sea, which in the Bible is signified as the people of the nations of the world and its government system that rules it (Rev 17:15). We see in the Book of Revelation "seven heads and ten horns" which clearly tell us that the seven heads are "seven mountains" of power of all the various governments under the Satanic influence that had ruled the world until the end time (Rev 17:9-10; Matt 4:8; 2 Cor 4:4), the Roman power that fell were actually ruling the world at the time when John the apostle saw this vision of the end, as one convenient marker for the end of Roman empire, 476 has been used since Gibbon, but other markers include the Crisis of the Third Century, the Crossing of the Rhine in 406 (or 405), the sack of Rome in 410, the death of Julius Nepos in 480, all the way to the Fall of New Rome in 1453. Thus we do see an end to the great empire of Rome, but we see the Antichrist described by Daniel to show the origin of him from the Roman Empire by saying "the people of the prince who is to come," (i.e.) those people who destroyed the 2nd temple the Roman Empire in AD 70. This Empire of the end under Antichrist will contain all the other powers of the preceding empires of the world as a part of it, so it will definitely will be a world government and this government is described as the one beast in which the images of all the others beasts of the preceding eras of empires like the leopard, bear and lion can been seen on it, whereas in the Book of Daniel everything was show to be a individual beast. In the beast of the end, the government is given by God a worldwide control through a central server which can boast of having the identity of everyone living in the planet earth. Thus mark of beast will first start as something for the benefit of humanity and prosperity and safety of humans in this time of the end which is filled with terrorism, poverty, natural calamities, diseases, Tsunami's, famine, etc...so because of fear they will give in to this system of the beast. Satan will be the one who will give his whole power of lies and deception to the one who will run this government (Rev 13:3-4). When the technology of RFID for every human starts for a good cause and then spreads in to all the world, Satan will take that opportunity to deceive people and appeal for a one world government which will provide a central assistance to all nations with one world currency to trade and do business freely in all the world. One World Government, Convenience Or Danger Of Destruction? When all the nations jump in to the net of this deceit of one world government for their safety and security, immediately they will be divided in to 10 main unions for one hour with power but no kingdoms as of old (Rev 17:12), then will the one world government will start to boast of itself as being the old government of the Roman Empire which has recovered from the deadly wound of its previous defeat because of the religion it embraced which is Roman Catholicism which explains the following, "I saw one of his heads as if it had been mortally wounded, and his deadly wound was healed. And all the world marveled and followed the beast." So at this point of time, this last world empire will become atheistic and will by the help and influence of Roman Catholics, then will begin to boast greatly about its governmental power and its deadly military precision to defeat anybody on planet earth, and will start to say, “Who is like the beast? Who is able to make war with him?” (Rev 13:4), with one leader among the ten of Caucasian origin who will deceptively gain power over the three other unions by the charisma of Satan who will make him take hold of the entire unions of nations as they will all agree to give their power to this beast of Antichrist (Rev 17:13; Dan 7:20, 24; 8:9, 23, 24, 25), as the Satan will get in to him, he will start to hate true followers of the Jewish and Christian God of Abraham, Isaac and Jacob. But at that time, he will show his hate only against Christians who are left behind in the Rapture. But then as time goes by, He will try to annihilate the Jewish nation of Israel itself at the end during Armageddon. But then Christ will come to rescue the nation of Israel along with the Church, and will rule the earth in Theocracy for a thousand years. Praise the Lord! So we know that the whole world is on a drive to collect the ID of its own citizens, for example in China the communist government is doing it and India is also doing it and have named it as 'Adhaar' which means 'Identity' of a common man. USA and EUROPE are already in a very advanced stage. China is now going in to African nations to help them do these thing and implement them to make Africa a union in these end times. We see the boundaries of nations are crumbling in this end time scenario, and this in itself is a pathway to the one world government that is coming very soon. Until the appointed time comes for the Antichrist to enter in to the glorious land of Israel, he will continue as the Charismatic World Leader of the one world government. But we see once the system if fully in place, the Charismatic Antichrist the beast will enter Israel the Glorious Land, and once it happens, from the earth which is the nation of Israel according to the Bible (2 Sam 7:23; 1 Chron 17:21; Isa 64:8; Jer 18:5-6), [Israel, called “the navel of the earth,” is strategically located at the hub of three continents (Ezek 5:5)] he will overthrow many countries and will begin to rule the whole world (Dan 11:41). The nation of Israel is the only nation that has been described by Jesus as earth in the New Testament. As the rendering of 'erets’ in the New Testament, "the earth" denotes the land of Judea (Matt 23:35); also things carnal in contrast with things heavenly (John 3:31; Col 3:1, 2). Hence the false prophet will be a Jew who will rise from the nation of Israel. When the Jews believe that he is the real Elijah through the false prophet bringing fire from heaven (Rev 13:11-14), it will be during the time of the first three and a half year period of false peace and covenant of the Anti-christ (Daniel 9:27), then Satan will take control of the nation of Israel by his seduction through the conspiracy of taking control over the whole world through a unholy friendship and alliance between the False Prophet who is "another [religious] beast" (Rev 13:11), and the Antichrist who is the "first [political] beast" (Rev 13:12). Take heed, when the political and religious beast come together, they will take control of the economic beast of Satan the dragon who holds the riches of this world in his hand from the time Adam handed it over to him (Matt 4:8-9). So Satanic Trinity will be formed at that time. Satan will begin to posses Antichrist and will begin to work through him by giving all this power as he will be thrown down from heavenlies because the Church will take his place once the Rapture happens and he will have no more place over there (Rev 13:5; 12:7-12, 13; Eph 2:2), Satan will begin to fill the Antichrist at that time to use him for his purpose just like our Father God filled Jesus and used Him for His Glory nearly two thousand years ago. But unlike Jesus who was controlled by One Spirit (Matt 12:27-28), three powerful spirits of demons will posses Satan the father of lies, Antichrist his son and the False Prophet to coordinate among them to show to the world as one spirit who knows all things but will be the false spirits, the satanic trinity (Rev 16:13-14; John 8:44; Gen 3:15). God will allow them to deceive the world who do not have love for the truth (2 Thess 2:11-12). Though the False Prophet from the nation of Israel will have great authority, he will look like a lamb with two horns one with priestly power and the other with kingly power, because he will be a religious person of great standing among the Rabbis of Israel, he will also have a voice in the political arena as the leader of the 'Knesset' the national gathering of assembly of the legislature of Israel strongly through his peace covenant made with the world unions whose leader will be the soon becoming Antichrist (Rev 13:11; Dan 9:27; Isa 28:18; Mic 5:5-6; Isa 10:24-27). The Bible reveals that the "another beast" who is the False Prophet, "He spake as a dragon" (Rev 13:11), at once intimates his satanic nature and character, for the speech corresponds to the heart (Matt 12:34). We will see a European support to Israel when the Antichrist comes with the European Union, which is unlikely until now because of antisemitism rampant through out the continent of Europe. So once that happens, it is a sign that the False Prophet who exercises just the authority in the nation of Israel will soon begin to control the whole world and will exercise "all authority" in the presence of Antichrist, which means under the political control of Antichrist, he will begin to conspire and take authority over all the political, religious and economical control of the whole world (Rev 13:12). How Did The Two Beasts Deceive The Whole World? How will it happen and how can the world be deceived by the master mind of the False Prophet, under the steady guiding hand of the Antichrist? The great sign of this False Prophet among the many signs he will do will be the sign of bringing fire from heaven, through which he will bring "the earth" which is the nation of Israel to accept him as the Elijah of the end. Then he will make the nation of Israel and the world to receive the Antichrist as the Messiah of the whole world, which the world will accept because he will be one among them with a christian name and culture in which he would have been bred, but will openly support idolatry, homosexuality, new age belief and yoga (Dan 11:37-39; 1 John 4:1-3; Matt 24:5, 24-26). Through the False Prophet the nation of Israel will receive an uncircumcised Antichrist in the flesh to come in to the temple to claim himself as God (2 Thess 2:3-4), and in the process Rapture of the Church will happen after this and Satan will form a Satanic trinity immediately to deceive all those who dwell on the earth (Rev 13:14; 16:13), to make a image of the Antichrist who would be attempted to be assassinated by a zealot Jew who will use his sword to kill him knowing that he is a Gentile but will fail in his attempt (Ezek 44:7-8), because the Antichrist who will be mortally wounded with a deathly wound of a severed arm which would make it wither, and this same wound which will extend up to the right eye which will make it totally go blind, and also it will cause a deep skull wound within his head which would make him bleed to death on the spot and die, but by the counterfeit power of Satanic trinity he would be healed by the power of Satan working through the False Prophet who is with him (Zech 11:17; Rev 13:3). So miraculously the Antichrist will get healed in a few moment of time, and will stand alive and well in their midst again. Immediately the False Prophet would command the whole earth to make a image of the Antichrist who was mortally wounded by the sword and lived, because of his desire within him to rule the whole world, actually the False Prophet will forget that no man has power to raise the dead except when he is granted power by God like Jesus Himself and the disciple of Jesus who did it all with great humility (Matt 10:8; John 5:21; Luke 7:11-17; John 11:1-44; Acts 9:36-42; 20:7-12), so the False Prophet because of great pride and lust for more power will forget that he was actually granted power by God to deceive those who do not love the truth to become deceived (Rev 13:14; 2 Thess 2:8-12). Then empowered by the same power of the Satanic trinity he will tell the whole world to make a grand image of the Antichrist the beast, so once the abomination happens within the temple of God, then again the False Prophet will cause even the statue to speak in which Satan will sit and let his voice out to directly speak to people (Isa 29:4; 8:19), and at that time thus cause through his evil decree as many as would not worship the image of the beast to be killed which will be instructed by the voice of Satan. So Satanic trinity will finally lead the whole world in to idol worship and nothing more than that, and will cause all those saints written in the Book of Life to be killed as they are on God's side (Rev 13:14-15, 7-8). One thing we must understand is, when the Scripture speaks, it speaks in three dimensional way, one in a literal physical aspect, the other one in a symbolic signified message to mean something bigger than it is in a different sphere of space and time within it, and finally through the same passage it gives out a spiritual message for all to understand and apply in their life. So the beast is the government first symbolically and physically according to the context, also then the Antichrist who comes out of it as a symbol initially but then becomes a reality next and becomes a literal person, and finally the False Prophet who comes out as another beast to give a spiritual message to the masses out of it in order to deceive them from the true God the Creator of all humans, becomes a beastly person and also carries a meaning within a meaning which is the merging of all authority which is political, religious and economic to become a totally satanic institution through this evil personality. The wisdom of technology, travel and web of information in its usefulness to humanity has been planned by God in the end times (Dan 12:4), but how Satan uses it ingeniously for his own end will bring the mark of the beast in to existence. Thus idol worship will be the reason the world will implement the "mark of the beast" which will be a "mark" as said in Revelation 13, in which the original Greek for the word mark means an actual physical mark. So the actual mark of the beast will be a physical mark, like the RFID chip, or an ID of less than rice grain size invisible mark by heat seal or burning on the skin without feeling any discomfort, or tattoo chipped in to their right hand with a silicon material or on the forehead of the body of each person, but as technology progresses, the mark can even become a invisible seal chipped in to the surface of the skin which will carry all the information of each person which will be stored within the body or the surface which will be connected to a central server, where their movements and transactions will be monitored by the Antichrist, to make them accept the worship of the idol after which they will be given the mark of the beast as they become authentically connected to the world wide web system used by the beast for prosperity, safety and commerce, promising a king-sized life of freedom to do whatever they want on earth until their death (Rev 13:16; 1 Thess 5:3). RFID chips are the ultimate form of identification, but the rice sized chip which now needs to be injected in to skin can soon become a invisible seal on the skin of each person. At that time Great Tribulation in all the earth, those who do not have the "mark of the beast" will be hunted down like animals and will be slaughtered with a guillotine sword and may be buried all over the earth in mass graves for all to see and fear the Satanic trinity (Rev 13:10), and also because every person on earth will be forced to get the "mark of the beast", no one will be able to buy or sell except those who have the mark. Thus the mark can be the number 666 which will be the number of a man the Antichrist, each six representing the satanic trinity they operate with in their lives. So most closely to see, the "mark of the beast" will be the name of the beast, or the number of his name which will be 666. By understanding if we calculate the number of the beast, it will be rounded to number of a man which will be 666 (Rev 13:17-18). 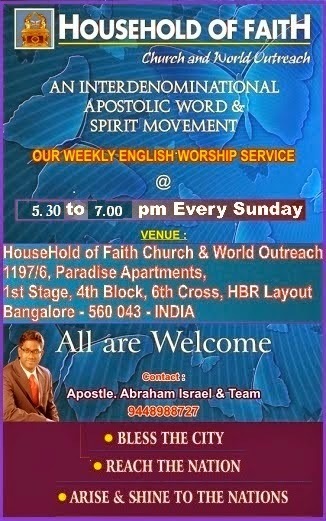 In other words, all those who will agree to get the "mark of the beast" will know what they are doing is against God because a first angel from heaven will declare the gospel to all those who dwell on earth, and by rejecting his message they will come to embrace the worship of Satan in the image of the beast for their personal well being on earth (Rev 14:6-7). Before the mark is enforced on all people on earth, Babylon the Great Harlot which is sitting in Vatican will fall being hated by the beast of Antichrist because it was the reason of its demise in the first place beforehand when it could not control the protestant reformation and thus the reason for religious freedom to preach the gospel at the end of time without hindrance, so in a one hour possible nuclear holocaust or the like it will be completely made desolate (Rev 14:8; 17:15-18; 18:-1-24). The third angel will declare in all the earth not to receive the "mark of the beast" at that time for all to hear about it, before each earth dweller will individually decide to worship Satan openly looking for earthly survival rather than heavenly pleasure to God or towards eternal existence, except for those whose names are written in the Book of life (Rev 14:9-13; 13:8). Six hundred, sixty-six will be identified at the time of the arrival of the Antichrist the beast and it is indeed a mystery now and it will be a revelation to all believers then (Matt 16:16-17), but precisely how 666 is connected to the beast is not the main point of Revelation 13:18. The Bible often uses the number 7 to refer to God and His perfection. Traditionally, 6 is thought to be the number of man, created on the sixth day and always “falling short” of God (Rom 3:23). The beast/Antichrist will strive to be like God and he will likely even claim to be God, but, just as the number 6 falls short of the number 7, so will the beast/Antichrist, with his “trinity” of 6’s, ultimately fail in his effort to defeat God and his Tribulation Saints on earth who will live through the great tribulation and enter in to His Millennial Kingdom for the Glory of God (Matt 25:31-46). And those who die during the Great Tribulation will come along with Jesus Christ at his Second Coming to be resurrected back to life and reign on earth for a thousand years time along with Him (Rev 20:4-6). 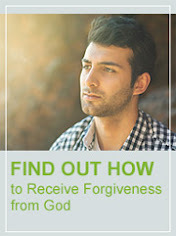 As apostle Paul Himself said, "We must enter the Kingdom of God through many Tribulations," all those who are not watchful and praying to be born again and make sure their calling will miss the Rapture of the Church, so the most important thing for the end time Church saints within is to know whether they are saved or not (Luke 21:34-36; John 3:3, 5; 2 Peter 1:5-8, 9, 10-11; Heb 10:26-31; 1 Peter 4:6; 1 Cor 11:30-32; Heb 6:4-6, 7-8; 1 Cor 3:14-15; 1 Cor 16:13; 2 Cor 13:5-6; Matt 25:3-4, 5, 6), and thus will go through the Great Tribulation of the saints (Rev 13:5-10; 14:9-13; Matt 24:16, 20-22), but will come out victoriously in faith some through persecution and others through martyrdom by the grace of God through it all (Acts 14:22; Matt 24:29-31). Praise the Lord!